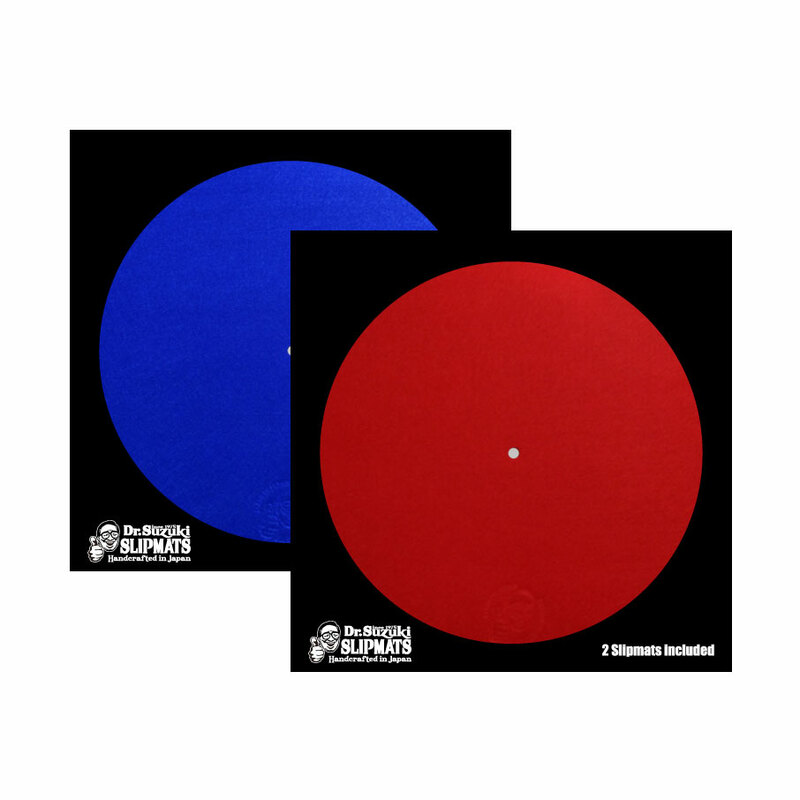 When compared to scratch specific slipmats, the Dr. Suzuki Mix Edition slipmats are noticably thicker and engineered to resist shock and agitation. From Dr. Suzuki, the creator of the best selling D-Styles Tablecloth comes the versatile Mix Edition Dr. Suzuki Slipmats. These slipmats were created especially for mix and routine DJs that need more control and find the Scratch Edition slipmats too slick. 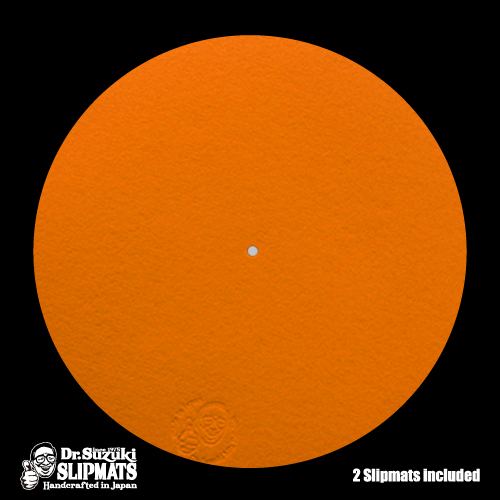 The Dr Suzuki Mix Edition Slipmats are also available in a 12" Orange edition . Dr. Suzuki is a pioneer and legend in the DJ industry. As the inventor of the DJ slipmat, Dr Suzuki continues to develop the best slipmats in the world and brings the highest standard for all DJ's. Every slipmat was hand built with pride and confidence by our slipmat sensei. quality only found in Japan, Dr Suzuki brings you the Suzuki slipmat. The new look scratch slipmats come as a pair. These 12" mats also come with 2 x slipsheets so you can add extra slip. 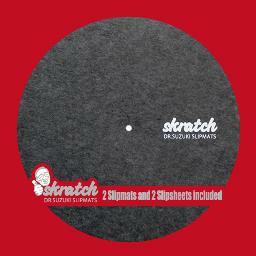 The perfect slipmat for the scratch DJ or any style of DJing. 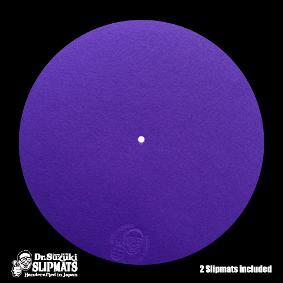 Supplied in grey with white logo and made from the same quality material as the original Tablecloth slipmats. 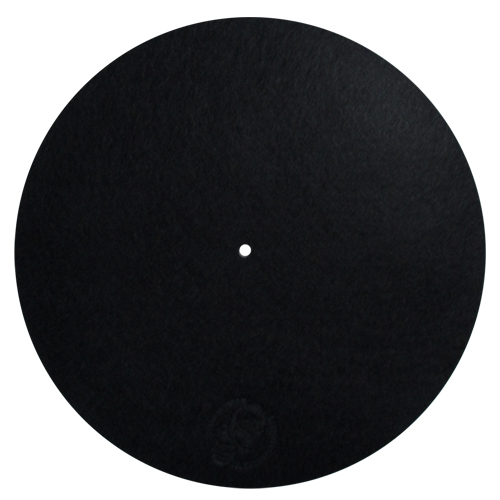 The Dr Suzuki slip sheets are designed to sit between your slipmat and turntable platter to reduce friction and give your record more slip, and so enables better record control. Best used with any of the range of Dr Suzuki slipmats like the Tablecloths or the Mix edition but can also be used with any slipmat. 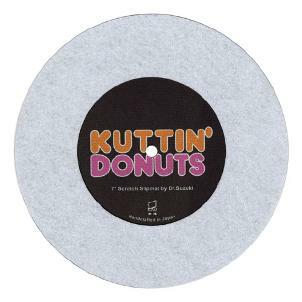 Dr Suzuki introduces his newest 7" Scratch performance slipmat Kuttin Donuts! 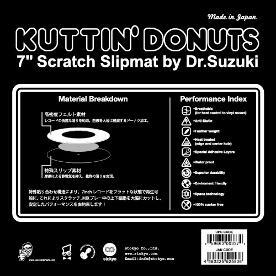 As the 7" game continues to grow stronger everyday Dr Suzuki introduces his newest 7" scratch performance slipmat, Kuttin Donuts!! By using his patented materials Dr Suzuki is able to have the record sit as flat and thin as possible to the slipmat/platter. With use of the similar materials found on the Dr Suzuki series slipmats it is now possible to achieve the best performance and hand control even on a portable record player. Another amazing features is if you experience any doming or warped records the centre label cut out on the slipmat allows the record to sit snug into the slipmat to lessen any wobble/warp issues. Another one from Dr Suzuki for the DJ's. 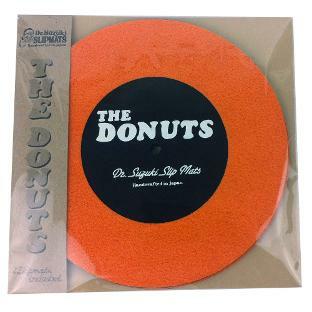 Dr Suzuki gives you The Donuts the ultimate slipmats for spinning 45'S. Made with all new material and to help resolve problems such playing warped records The Donuts are back!! 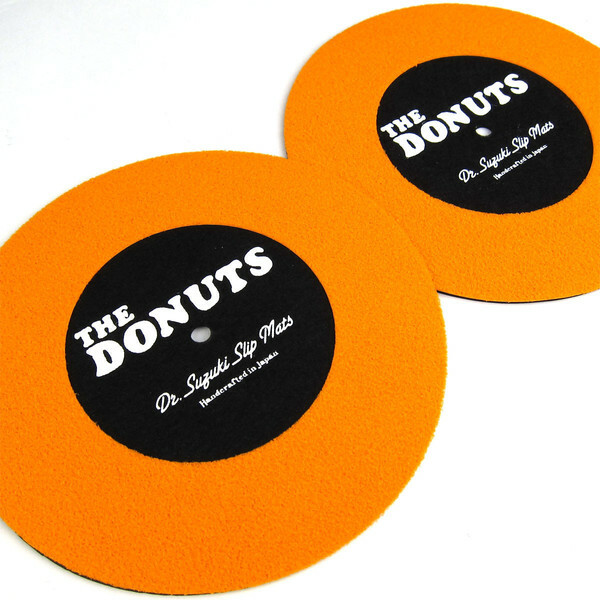 The Donuts is the perfect product for those who want to scratch and juggle on 7" vinyl. Simple to use all you have to do is set them up on your 12" vinyl and handle the 12" part so you are playing 7" records as you are playing 12" records. 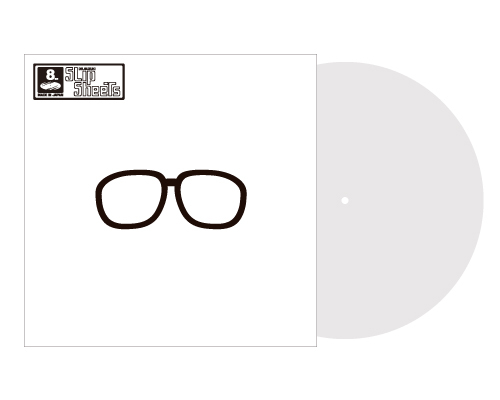 Made in Japan by the slipmat sensei Dr Suzuki they are crafted using the highest quality material to help absorb vibration and stop the needle skipping so you can enjoy playing your favorite 7" records.